June Lake Campground has 29 campsites nestled among a delightful forest of Aspen and Pines on the shoreline of June lake in the Eastern Sierras. There are 22 for RVs & trailer and 7 tent only sites. Each campsite has a table, fire ring, grate and bear-proof food storage locker. There is a 14-day stay limit. The campground is at 7,600 feet, but tends to be one of the first ‘high-country’ areas to get clear of snow allowing anxious fishermen to get their lines in the water by late April. Hold your horses though – the campground doesn’t open until early May and closes October 31. The campground has drinking water and flush toilets. There are no hookups. The town of June lake is also nearby and has darling gift stores, groceries, restaurants, gas and a few other snappy shops. There’s also a marina and boat rentals. The area offers quite a bit of outdoor activity including boating, kayaking, canoeing, fishing, backpacking, horseback riding, hiking, biking, photography, picnicking, OHV riding, climbing and wildlife viewing. There are also some historic sites and ghost towns in the area to explore. Be sure to check out Bodie State Historic Park if you get the chance. It is about an hour drive from the campground. Other campgrounds in the area include Gull Lake, Oh Ridge, Reversed Creek and Silver Lake. Visted June Lake Campground lately? We'd love to hear about your adventure. Did you find us useful? Did we forget something? 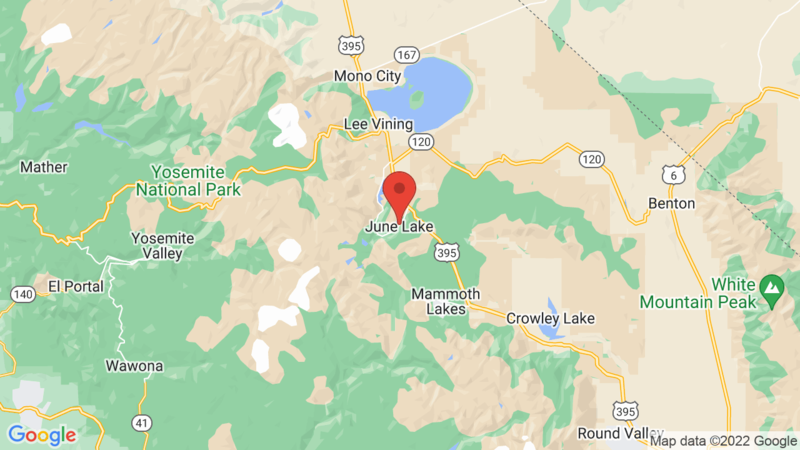 Anything our community should know before heading out to June Lake?